1157b, Used Rims, 15x6-1/2, 5 LUG, 4-1/2", 80-90, Ford, PASS, MERCURY, LINCOLN, TOWN CAR, MARK SERIES. CONTINENTAL. ALUM MACHINED FACED WITH ARGENT IN POCKETS, TURBINE, (1-5/16" LUG HOLE) COMES IN Various COLORS. SILVER, MAROON. 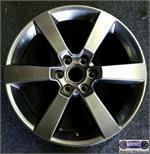 1339, Used Rims, 14x5-1/2, 5 LUG, 115MM, 83-88, BUICK, CENTURY, ALUMINUM RIM. 1368, Used Rims,14X6, 5 LUG, 100MM, Pontiac, SUNBIRD, Grand Am, TEMPEST, 5 SETS OF 5 SLOTS ON ANGLE, ALUMINUM, COMES IN SEVERAL COLORS, CHARCOAL, CHESTNUT, GREY X2, WHITE. 1372a, Used Rims 15X7, 5 LUG, 4-3/4" 84-92, PONTIAC, FIREBIRD, 20 SLOT, WIT20 SLOT ALLOY. COMES IN SEVERAL COLORS. CHARCOAL, CHESTNUT, GRAY, WHITE. 1372a, Used Rims 15X7, 5 LUG, 4-3/4" 84-92, PONTIAC, FIREBIRD, 20 SLOT, WITH CHARCOAL, POCKETS, ALLOY. COMES IN SEVERAL COLORS. A=CHARCOAL, B=CHESTNUT, C=GRAY, D=WHITE. 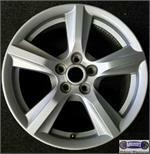 1475a, Used Rims, 15X6, 5 LUG, 4-1/4", 86-93, 42mm OFFSET, FORD, MERCURY, TAURUS, SABLE, MACHINED, GRAY LACY SPOKE DESIGN, ALLOY. 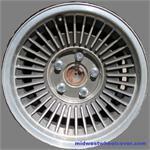 1532, Used Rims, 14X6, 5 LUG, 100MM, 87-89, CHEV, BERETTA, CORSICA, 18 RIBS, ALUM.